Much appreciated staff cooperation, .Very clean and comfortable. 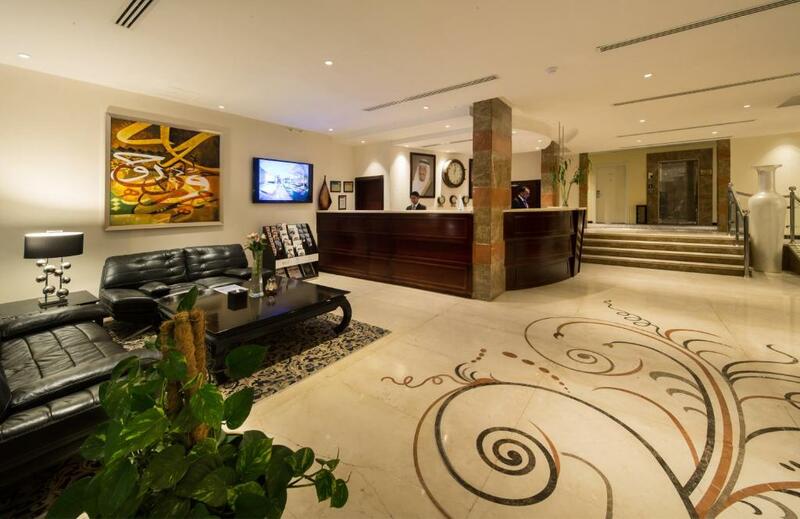 Easy and warmly welcome by reception staff.Much appreciated. I would like to visit again and must recommend to my colleagues & friends. Cleaninginess, lovely interior design, very good location almost near to everything, malls,cafe's, restaurants, internet speed is good, AC is fantastic. 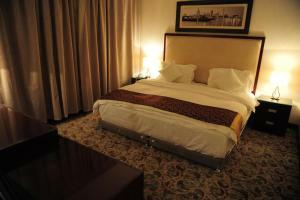 The overall staff was kind, the room was overall clean despite some of the problems. طاقم العمل رائع جداً، سميه انسانه بشوشه و سهلة التعامل بالأخذ و العطاء و الاستجابه و السرعه أيضاً. One of our top picks in Buraydah.Located in Buraiydah, Radoof Hotel Apartment offers self-catering accommodations. It provides free Wi-Fi in all areas and Othaim Mall is a 7-minute drive away. 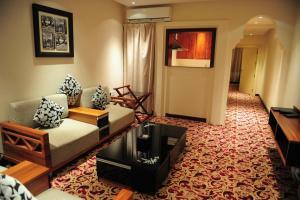 All apartments are fitted with tiled and carpeted floors. Each one includes a living room with a flat-screen TV, a dining room and a fully equipped kitchen. 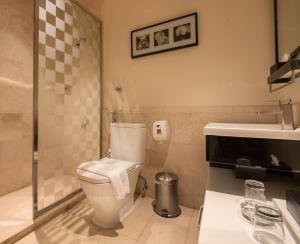 Featuring a shower, private bathrooms also come with a bath and a hairdryer. At Radoof Hotel Apartment you will find a 24-hour front desk and a mini-market on site. Other facilities like luggage storage are also offered. King Abdullah Park is 15 minutes away by car and Prince Naif Airport is a 20-minute drive away. This property also has one of the top-rated locations in Buraydah! Guests are happier about it compared to other properties in the area. Featuring free Wi-Fi, this modern, air-conditioned apartment offers a living room with a satellite flat-screen TV, a dining area and an equipped kitchen with a microwave and a fridge. The bathroom is fitted with a shower and a hairdryer. 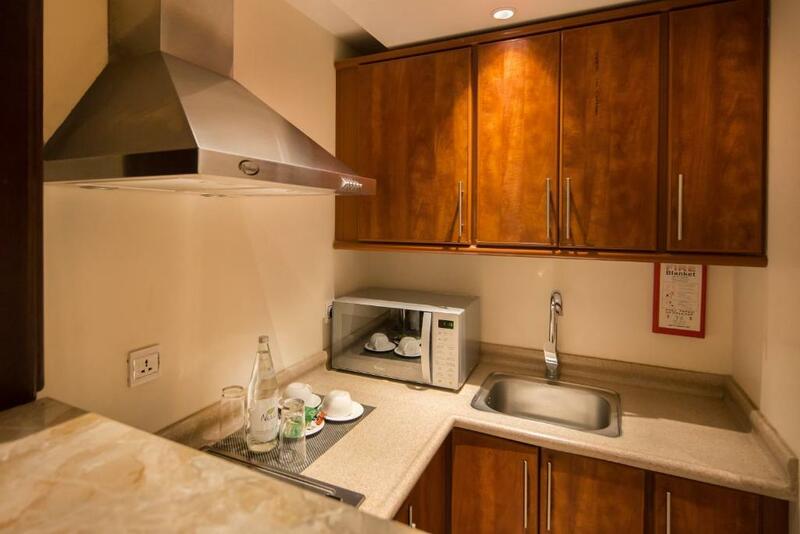 Featuring free Wi-Fi, this spacious, air-conditioned apartment offers a living room with a satellite flat-screen TV, a dining area and an equipped kitchen with a microwave and a fridge. The bathroom is fitted with a shower and a hairdryer. Radof aprthotel suits are exceptionally spacious which offer us the chance to provide different manifestations of luxury and extravagance. 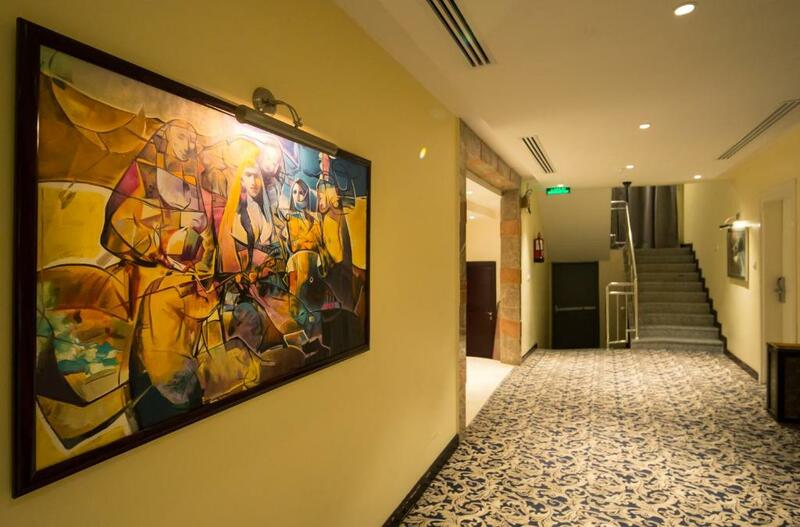 Radof's walls are decorated with more than 120 original paintings, so we could reach out to a deep dimension in your magnificent taste. Some of Radof suits are made of two warm bedrooms, magnificent living room, dining hall, a kitchen, and a luxurious toilet. Other suits are made of one warm and spacious bedroom, a magnificent living room, a kitchen, and a luxurious toilet. 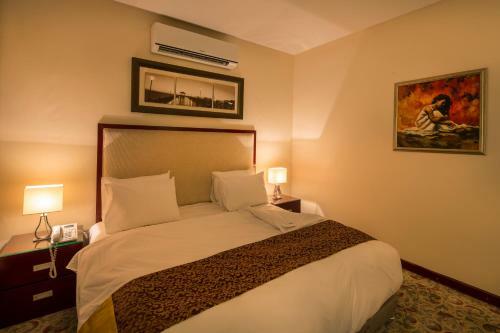 All suits are provided with a spacious wardrobe, a safe, microwave, LCD TVs (in all rooms), free WIFI, a mini-fridge, and original pantings. Our beds are a special story as all ware fine Egyptian cotton which make sleeping an incredible experience! We have 24/7 coffee shop that offers a great range of hot and cold beverages, a tasty range of pastries. We have amazing offers (with masterly preparation and special decoration for the suit) for special and romantic occasions. Individuals with sophisticated tastes will immediately realise that it is hard to put Radof in a comparison, as we live in our special world where our aim is to satisfy your impossible taste! Radof is proud to be in Albukhary street (Alryan district) among a magnificent range of luxurious coffee-houses, restaurants, bakeries, and other amazing choices for your taste. House Rules Radoof Hotel Apartment takes special requests – add in the next step! Up to two children under 2 years are charged SAR 40 per night in a crib. 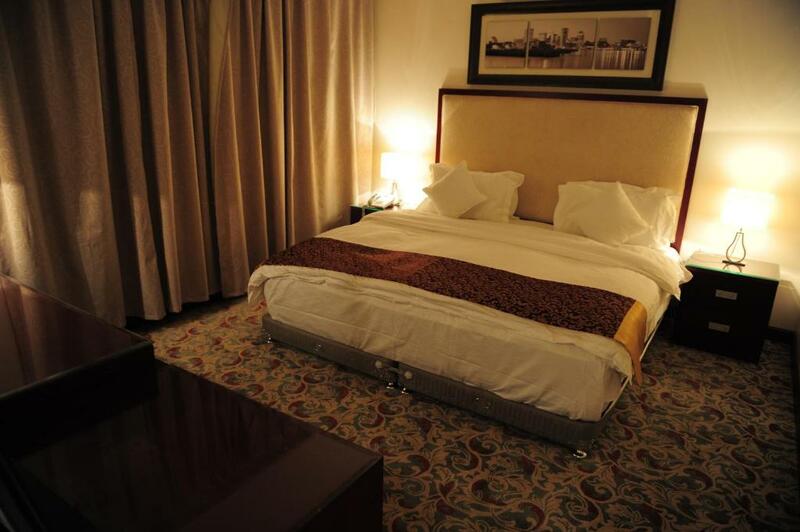 One older child or adult is charged SAR 80 per person per night in an extra bed. Radoof Hotel Apartment accepts these cards and reserves the right to temporarily hold an amount prior to arrival. Please note that Radoof Hotel Apartment only accommodates families. Need renovating (paint work - bathroom tiles) .. there is some necessities that were missing (hair brushes and caffee bags and such) .. some decorative options need to be re evaluated. Need to improve lighting a bit. Wifi range and strength is not as per expectation. Being a good rating apartment,need to include breakfast facilities. Will suggest to serve with traditional coffee /cold as complimentary. Except the Bathroom door (not closed finely); everything is good in condition. My flight arrived 11Am and i sent an email a day before about checking in early "no answer" when i arrived they said check in 4pm "no flexibility at all, a bit of rude answer form receptionist not even apologising for not answering email or phone :( " although on bookig.com it said there is ckeck in early and check out late survice. Limited parking space. my bathroom had a funny smell not so nice smell.